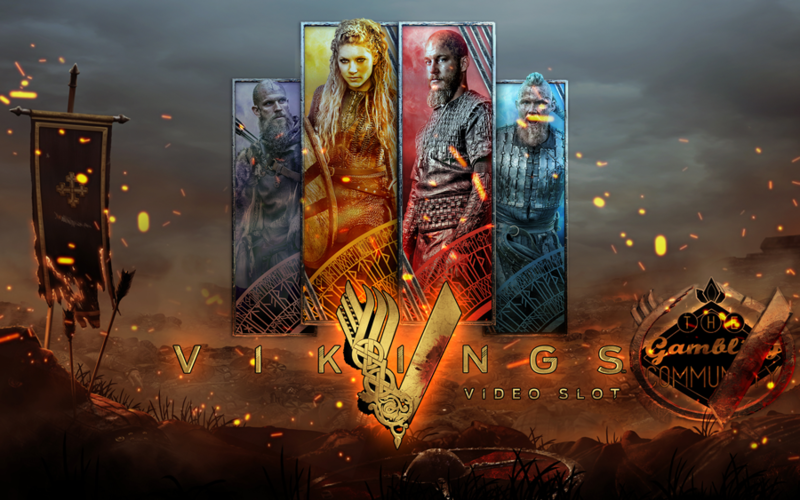 Vikings is a brand new release from Netent, the world’s favourite raiders are back with a vengeance, you may have seen these guys before in the HBO TV series that has been a worldwide hit with viewers since it premiered in 2013. They’re bad to the bone and tough as old boots. What’s not to love? So shields up, form a line, and give it a spin. It’s time to raid the reels. 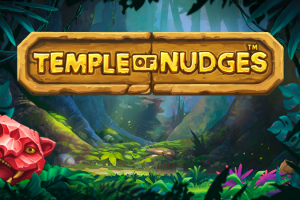 Games don’t come fiercer than this so let’s see if it play’s as good as it looks! Vikings has a 5 reel by 3 row setup and it has 243 bet ways to win which means you don’t need symbols in a line just the same symbol on adjacent reels like Raging Rhino for example. 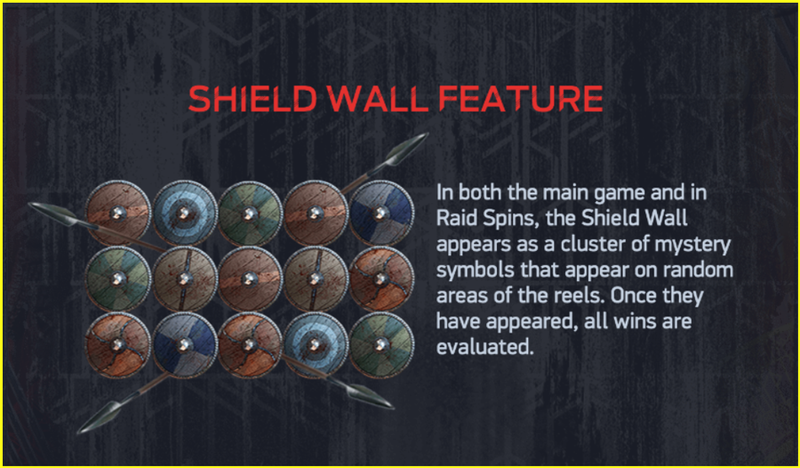 Some of the features in Vikings are the Hotspot Feature, Shield Wall Feature, Raid Spins symbol and Raid Spins mode including 3 Hotspots. In Raid Spins the excitement gets ramped up even more with the game changing to a 7 reel, 5 row, 78125 betways reel area! 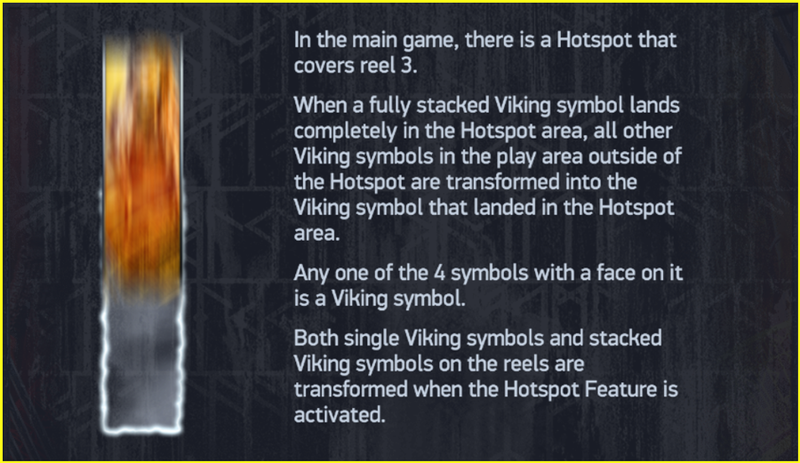 Lets take a look at the hotspot feature first, this feature is available during the base game and the main raid free spins feature, in the base game the middle reel has fire surrounding it and if you land any of the large vikings covering the whole reel this then transforms any other vikings on the reels to the same symbol, however it doesn’t pay the ways it treats them as scatters, which is a touch confusing as it means theres two paytable’s which we’ll look at shortly. The pay’s below are purely for the hotspot feature and you’ll notice that half of the table is red and half is yellow, this is because the top half of the paytable can only be achieved in the raid free spins feature where you have larger rows and more reels. In layman’s terms the most you can win in the base game with this feature is 4’860 coins which is 243x your stake and in the raid feature its insanely more at 200’000 coins which is 10’000x your stake! 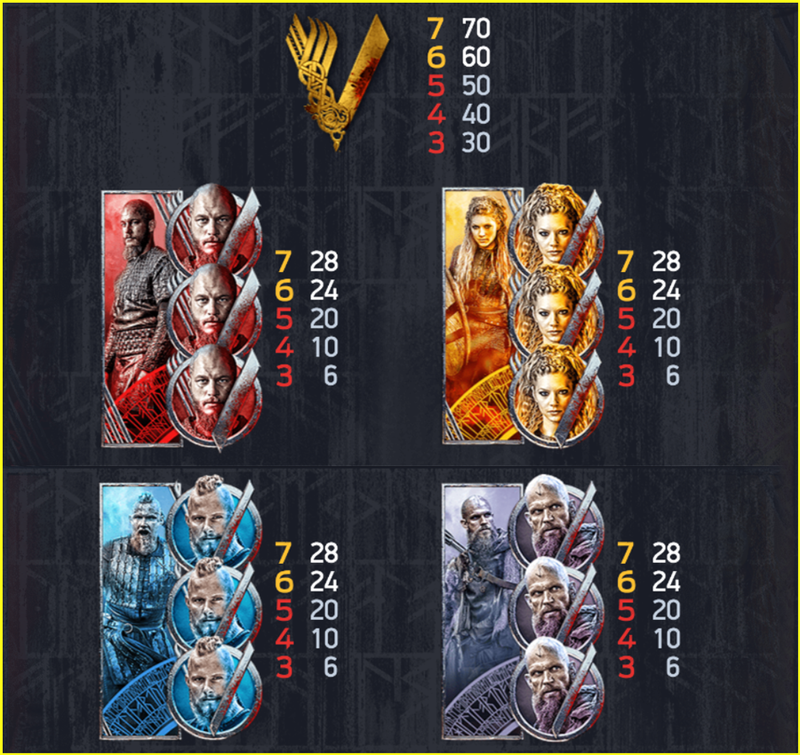 The shield wall feature like the hotspot feature is available during the base game and the raid feature, shields appear on the reels in clusters and then transform to any of the Vikings, if your lucky enough to have some of those Vikings on the reels already then you can get a nice win, especially in the raid feature. 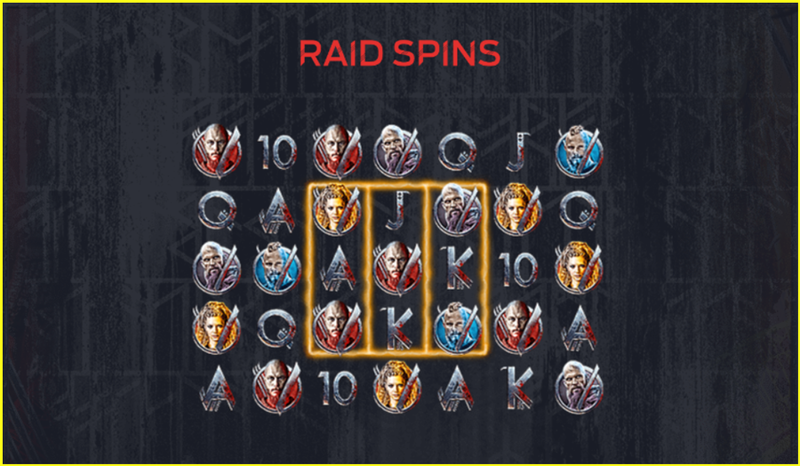 Now we can have a look at the main feature, the Raid free spins. To unlock this feature you need 3 scatter’s on the last 3 reel’s, once you get this the excitement gets ramped up even more with the game changing to a 7 reel, 5 row, 78’125 bet ways reel area! 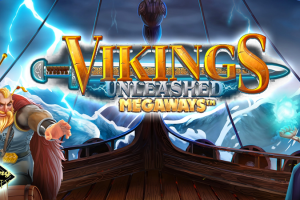 During these spins you can still get both of the features available in the base game but you just have a lot more spaces to land Vikings, you also have 3 spaces to land a full size Viking giving you a better chance to trigger the hotspot scatter pay. 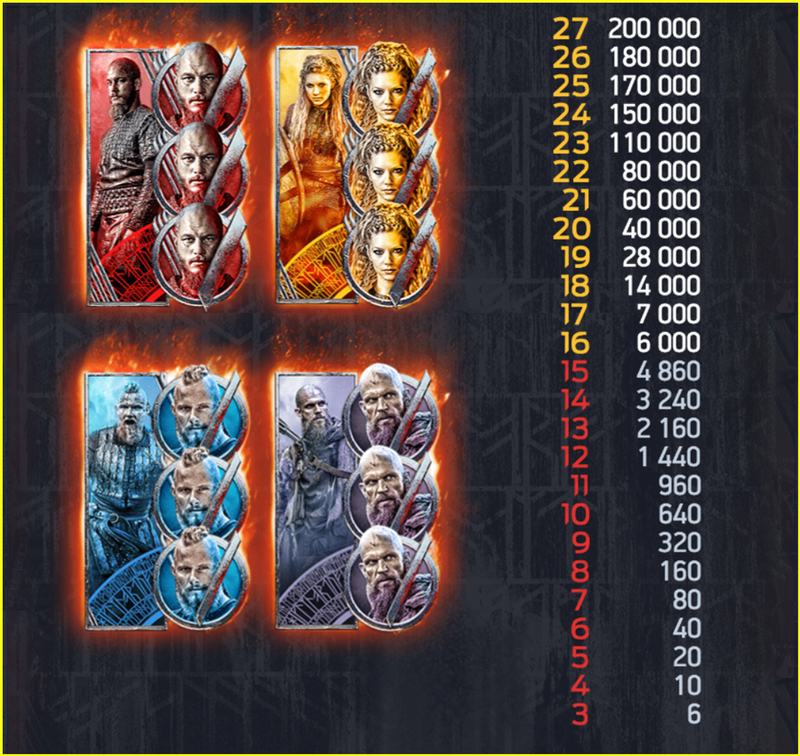 The paytable in Vikings is typical Netent with it’s confusing style of coins that you have to multiply by the level and then the coin value, the 6 and 7 of a kinds are only available in the free spin feature with the extra reel’s. The 10’s through to the A’s all pay the same for 5 of a kind at 0.5x and 1x for 7 of a kind, it’s possibly the worst lower paytable Iv seen to date, lets move on to the premiums swiftly! 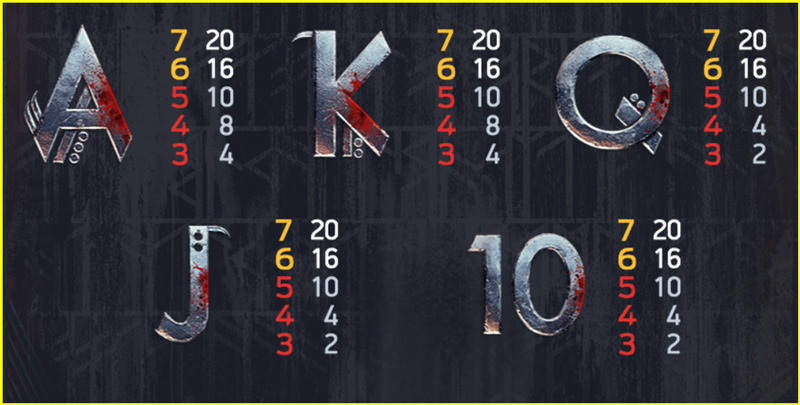 The premium symbols are not much better paying only 1x for a 5 of a kind and 1.4x for a 7 of a kind, obviously its an every way pays slot so you can get up to 243 ways of these symbols, but you clearly need that hotspot on the middle reel for the scatter pay potential. Vikings has an RTP of 96.05% and its firmly in the high variance category, my initial thoughts are that you basically win loads or absolutely nothing and nothing in between, the graphics are next generation and it’s like looking at a high end video game, the sounds are also just as good but that’s not much consolation when your losing your balance at high speed! 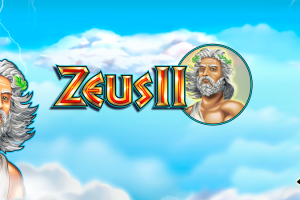 I did have a bonus that paid 100x whilst testing but the paytable really puts me off playing when there’s so many other games to choose from, it’s one that I’ll probably avoid unless I see some potential from other players, if you fancy trying this yourself there’s a link below for a TGC trusted casino and as always thanks for reading.